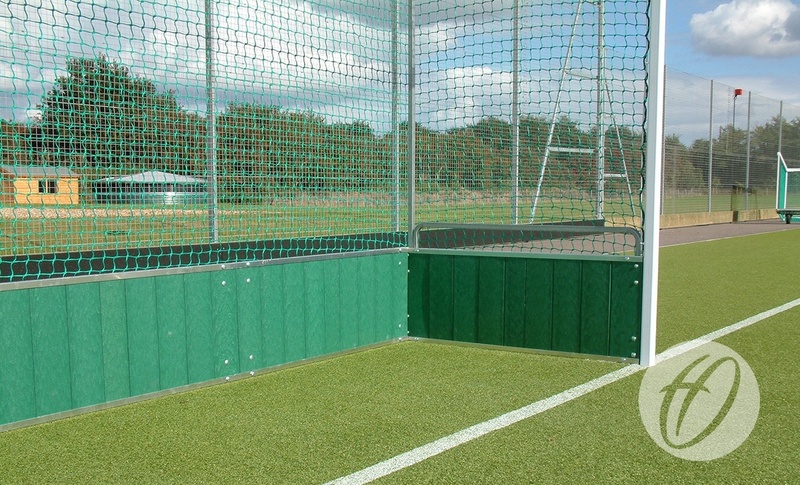 A great option for all synthetic surfaces, available with either durable PVC or standard backboards. 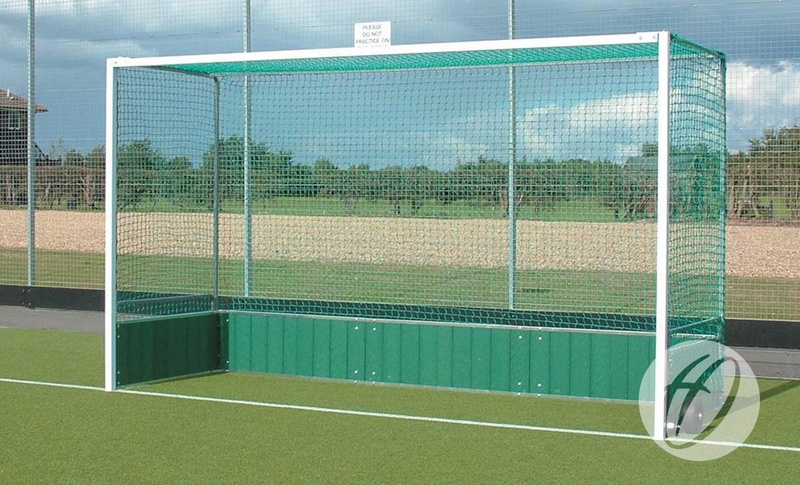 The reconstituted PVC backboards are extremely durable against high impact hockey balls and are extremely weather resistant. Will not crack or warp when exposed to the elements. Lifting handles designed for use with optional flip over wheel kit. 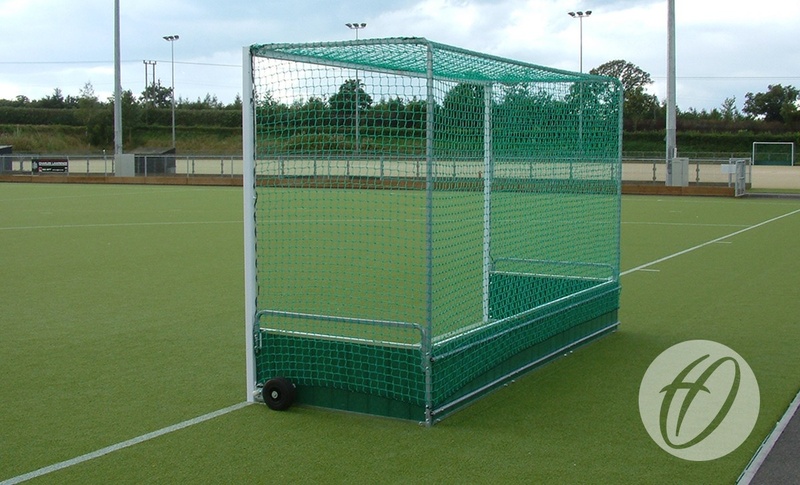 Net supports, lifting handles and top backbar made from 25mm square pre-galvanised steel. 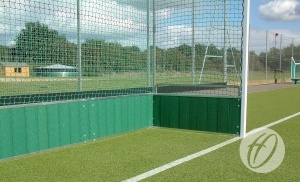 460mm high backboards in PVC. Uprights and crossbars polyester powder coated white. 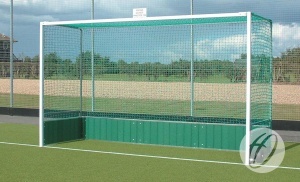 Q: What is the overall depth of this goal? 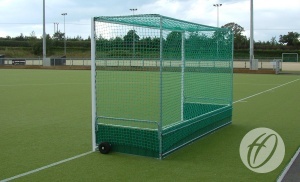 A: The overall depth of this goal is 1306mm.